Das Thon Hotel Rosenkrantz Oslo ist ein modernes Designhotel im unmittelbaren Stadtzentrum von Oslo, und von hier sind es nur ein paar Hausecken bis zur Flaniermeile Karl Johan. simonjuenemann hat am 13. Apr. eine Bewertung geschrieben. Krauselinde hat am Feb. 2019 eine Bewertung geschrieben. Guten Tag Krauselinde, Many thanks for taking the time to write this very kind review. We are delighted to hear that you enjoyed the time you spent with us here in Oslo. It is great to hear that you found our rooms comfortable and well-equipped! As you mention, we recommend any light sleepers to request a room towards the back, and our great Reception team always does their very best to accommodate any requests. We are, naturally, very proud of our award-winning breakfast, and it means a great deal to us whenever our guests compliment it. Your kind words regarding our great staff will naturally be shared with all of our team! Looking forward to welcoming you back, and wishing you a great day. Bis bald! Tobi_Ingrid hat am Jan. 2019 eine Bewertung geschrieben. Super Hotel in Oslo mit guter Lage. Tram- und U-Bahn-Haltestellen in unmittelbarer Laufnähe. Schöne Zimmer, alles sehr sauber, nettes Personal und ein super Frühstücksbuffet mit großer Auswahl. Das Hotel wurde zu Recht für das Frühstück ausgezeichnet. Auf jeden Fall zu empfehlen! Guten Tag Tobi_Ingrid, Thank you for writing this nice review, it is greatly appreciated! The hotel is, as you mention, very centrally and conveniently located, in close proximity to tranasportation as well as attractions and sights. We are very proud of our award-winning breakfast, and are thrilled you liked it as well. Your very kind comments regarding our staff will of course be shared with our great team! Hoping to see you with us again in the near future, and wishing you a very fine day. michfriedrich hat am Jan. 2019 eine Bewertung geschrieben. Top Lage, Top Frühstück ! Guten Tag michfriedrich, Thank you for taking the time to write this review. It is great to hear that you enjoyed your time with us. As you mention, the hotel is located very centrally in Oslo, within easy walking distance of most of the city, and as such, most of the attractions, as well as transportation. We will of course share your feedback regarding the Smart TV-system with our supplier, so they can improve their product. All our guests do, as you write, get free, high speed Wi-Fi, and we are very glad you found that useful. Our award-winning breakfast is something we are, naturally, very proud of, and are therefore extra excited whenever our guests compliments it. Your very kind comments regarding our staff will of course be shared with all of our great team. We hope to see you back with us in the future, and wish you a very fine day! 134Kai_78 hat am Nov. 2018 eine Bewertung geschrieben. Das Hotel ist kurz und knapp gesagt "großartig"! Super zentral gelegen, ein sensationelles Frühstück, sehr gepflegte und ausreichend geräumige Zimmer, ebenso das Bad. Das Hotel ist modern eingerichtet und die Mitarbeiter absolut Top. Absolute Empfehlung! Guten Tag 134Kai_78, Many thanks for taking the time to write this very kind review. 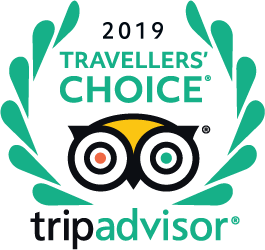 We are delighted that you found our staff attentive & helpful, and enjoyed our award-winning breakfast as much as you did! Your generous comments will naturally be shared with the entirety of our great team! Wishing you a very fine day, and looking forward to welcoming you back. nataliebonello hat am März 2019 eine Frage gestellt. Hi, we will be coming to Oslo in July, arriving at Oslo Sentral station. Is it possible to walk from this station to this hotel? How far away is it please? Also, do you have to pay to watch Netflix on TV. I will be travelling with 3 teenagers and they like netflix. I have nothing more to add to what others have shared. Easy walk (without luggage), expensive cab if you choose that way to go (we couldn't figure out how they set the cab fare. We were traveling with another couple, so we needed two cabs. We paid $55, about $10 more than our friends did, and more than double what others have already commented here. I guess my advice is buyer beware). We were way too busy our couple of nights in Oslo, so I couldn't even tell you if our tv worked! cryptoa hat am März 2019 eine Frage gestellt. Greetings cryptoa, The Nationaltheatret station is located approximately 10minutes walk from the hotel, and is the closest station. The time table can be found at the Flytoget website (apologies for not including a link, but that is against the TA-rules). If you have any further questions, please don't hesitate in letting us know. vegas1982 hat am Jan. 2019 eine Frage gestellt. Har noen av rommene badekar..? Darzy hat am Dez. 2018 eine Frage gestellt. Do your suites have a sofabed in the living room area? There are 2 of us, 1 who snores ... so we often need to sleep in separate rooms! Overthehilltravel hat am Dez. 2018 eine Frage gestellt. Greetings Overthehilltravel, Thank you for contacting us. The plaza outside was officially opened on the 7th of December, and there are no construction workers there now. As it is a project run by the Municipality of Oslo, we have no further information at this moment. Krauselinde hat am Feb. 2019 einen Tipp verfasst. "Die Zimmer zum Innenhof sind herrlich ruhig!" Reiner G hat am Aug. 2018 einen Tipp verfasst. "Die oberen Zimmer am End des Flures bieten eine gute Aussicht. Es sind die Timmer mit den niedrigen Endziffern." BKnorr hat am Feb. 2017 einen Tipp verfasst. "Zimmer in den oberen Stockwerken und nach hinten hinaus sind zu empfehlen." 97Monika hat am Feb. 2017 einen Tipp verfasst. "Wir waren alle in der 4. Etage untergebracht- sehr gepflegte Zimmer und Bäder m"
Walter Z hat am Sep. 2016 einen Tipp verfasst.